The Hartke LH1000 Bass Head with HD410 Bass Cabinet Half Stack bundle packs a huge punch and is perfect for your small to mid-sized venues. The HyDrive HD410 features carefully crafted paper/aluminum hybrid cone drivers. 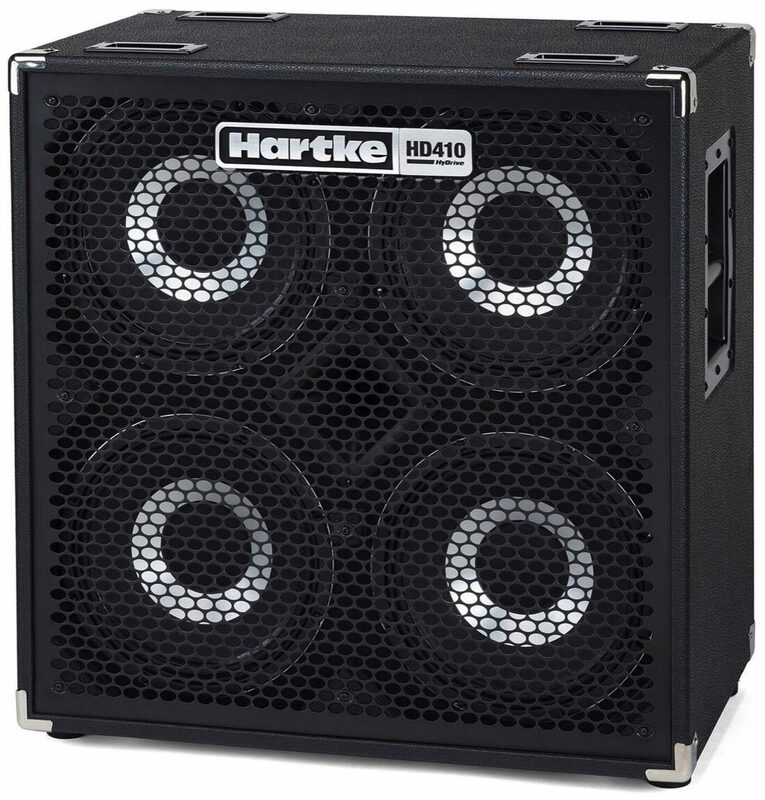 The hybrid makeup delivers an exceptional blend of warmth and attack that can't be attained by traditional all-paper bass speakers. The outside curved Kevlar-loaded paper cone delivers smooth, even response with a deep tone, while the inner straight anodized aluminum cone produces highly accurate, distortion-free output. 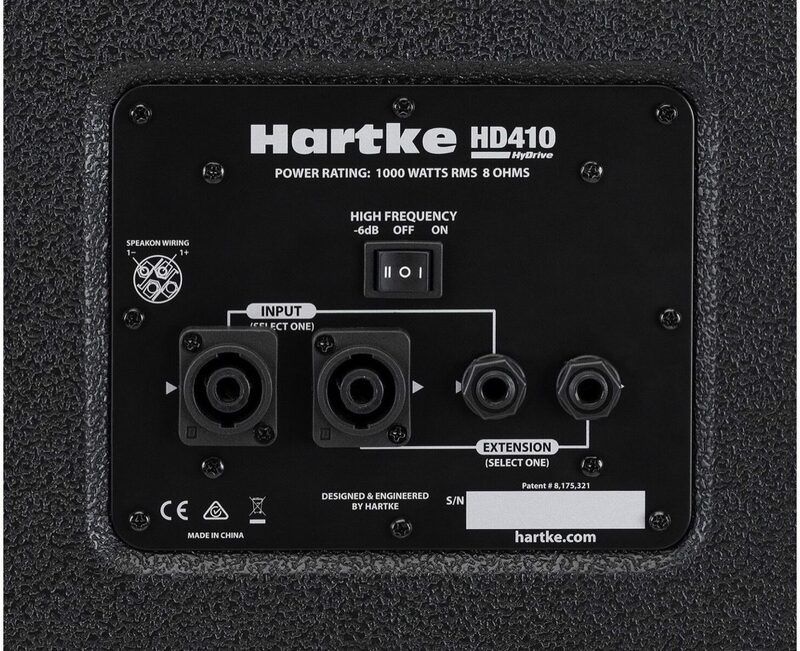 The HyDrive HD410 cabinet provide depth and clarity that is unrivaled. A double-roll curvilinear surround limits the drivers from over excursion, while providing a smooth midband response. The result is a clean, full tone with the clear fundamentals of each note, as well as natural overtones to further define your sound. 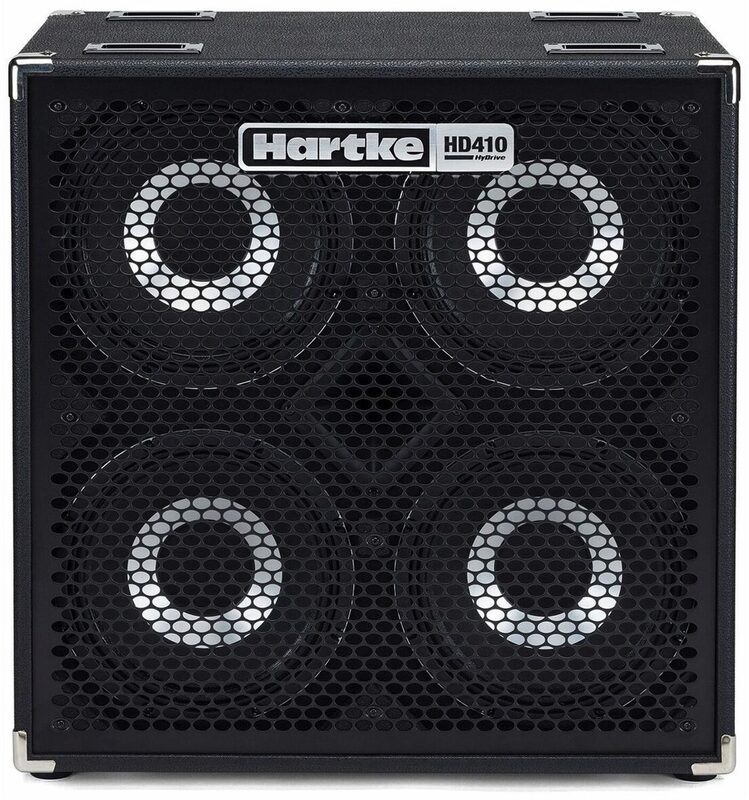 Overall: By far a huge improvement over my last Hartke gear from years ago. 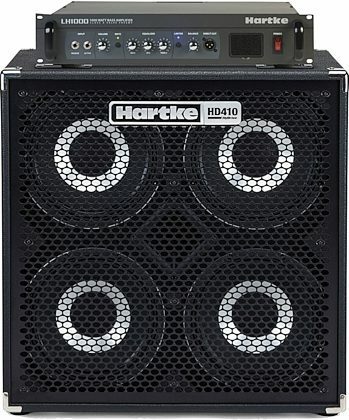 The l1000 head is quite heavy and has a stacked tone structure. I play a Fender active 70's bass and can get crisp, tight, focused sound from the cab. The speakers has a sound all their own with a fowardness that's pleasing and not woody sounding.Bottom end is tight and well defined. The gear is very well made having a solid thud when doing the cabinet knuckle rap test. Ths head is very solid.Having so much speaker in a compact cabinet is a plus. This combo has a definition and tone that could be described as high fidelity. Crisp....punchy and still has that bottom end I love from a cabinet. Style of Music: Pop rock, progressive, original songs.